Happy One Year Blogiversary to Let’s Talk Mommy! Happy Wednesday everyone. It’s midweek most of the school kids have now started school and some of the little ones maybe even nursery. I hope everyone is coping with their new routines or old ones if nothing has changed. As promised I am celebrating my one year blog birthday with a giveaway everyday until Sunday! 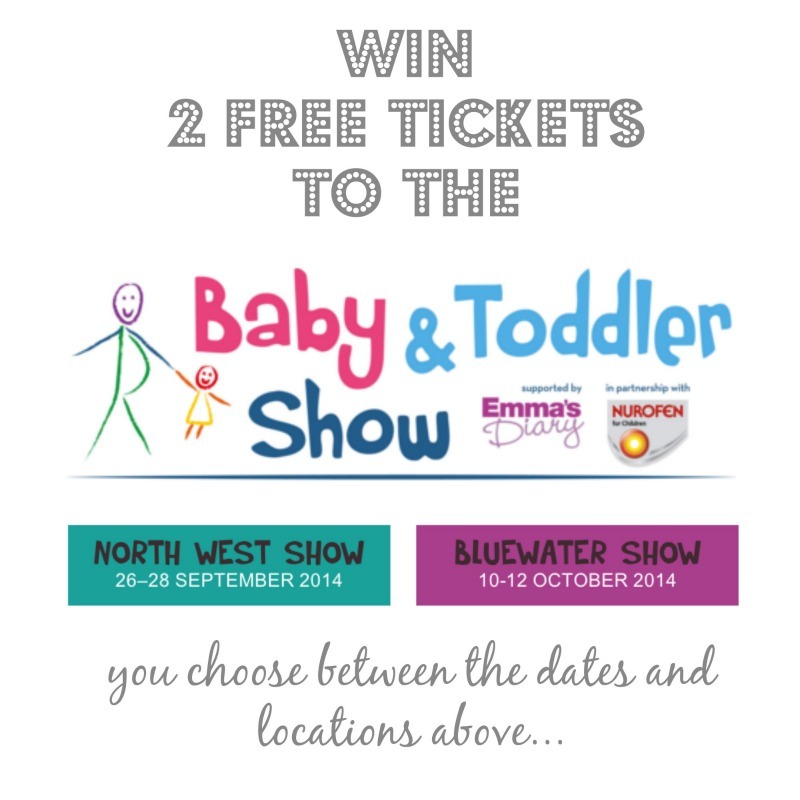 Don’t worry they are not all baby items, yesterday’s was a fantastic cookie press but today I am happy to announce your chance to WIN 2 tickets to the Baby & Toddler Show. There are two locations and sets of dates which you will be able to choose if you win. If you win and choose the North West, I look forward to seeing you there. It’s one of my favorites as I have gone the last two years and never been disappointed. There is always new brands and new baby and toddler products out there to make our lives so much easier as parents. Here are a list of some of the brands you will see there. Definitely not one to miss! So get your entries in below!